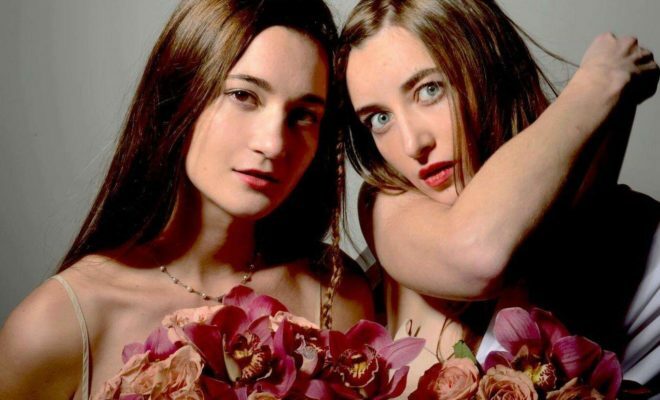 Fronted by sisters Monika and Karen Walker, The New Tarot is on a mission to deliver a philosophical, post-pop take on alt-rock. Using melodic sensibilities and yearning questions, the two sisters have been writing music together from a very young age. Karen is a renowned pianist and spent some time at the Hart School of Music studying composition while Monika plays guitar and has a background in philosophy and artificial intelligence, and is now finalizing her degree in cryptology. Five years ago they began to record and perform together under the name The New Tarot, and eventually, they assembled a finely tuned musical machine, utilizing the awesome abilities of Dave Kahn on bass, and now welcome awesome drummer Derek Broomhead, and Brazilian guitarist prodigy Andre Vasconcelos to the band. They have released 4 EPs, 7 singles (the latest enjoying substantial radio play and having been featured in the recent internationally televised broadcast of the Miss Universe competition), and have just released their first LP which premiered on Billboard. The album, Book of Promises, evokes a rock opera whose narrative has at its core a message of enlightenment brought to our generation by a character from another world. The New Tarot is based out of New York City, and have headlined many of the areas popular venues; including The Bowery Ballroom, Webster Hall, LePoisson Rouge, Brooklyn Bowl, and dozens more. “The Heat was my first Music Video in the US. As a French Director, it is always a bigger challenge to work in a foreign language. But Music and Cinema, as art, have their own, universal language of storytelling. Though we grew up in different countries, we had the same vision about The Heat, and what we wanted to show on screen. For me, the child represents the hope of a new generation, receptive to a message of change. Unlike her elders, she is yet to be jaded by society’s ever-present manipulation, through all the many forms of mass media. For this reason, the little girl is the only member of the family to actually see and hear Monika. Throughout the clip, I chose to use “scribble effect” to contrast a light, cartoonish effect to the weight and sobriety of the lyrics. The American crew was very professional, and I and my countrymen, Mathis and Lou, were pleased to work with such an amazing band as The New Tarot. It was a great experience and I hope to collaborate again with the girls in the future!